In New Jerusalem we will see the face of God and the Lamb (Rev. 22:4). In this age, God has shined in our hearts and we turn our hearts to the Lord to behold and reflect His glory. In 2 Corinthians 3 we turn our heart from everything to the Lord to behold Him. 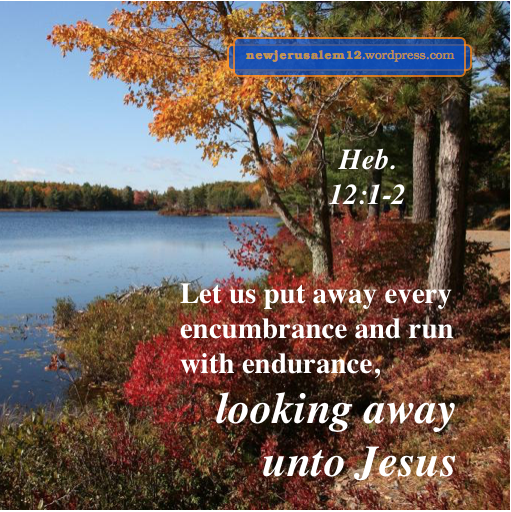 This is the same as Hebrews 12:1-2, “let us…put away every encumbrance and the sin which so easily entangles us and run with endurance the race which is set before us, looking away unto Jesus, the Author and Perfecter of our faith.” Lord, enlighten us to see and put away the encumbrances. The sins we must put away, by confessing and receiving the Lord’s forgiveness (1 John 1:9), are obviously negative. The encumbrances however may seem positive—our attitudes, goals, preferences, interests, etc. However, we must put these away because they hinder our “looking away unto Jesus.” This is like Matthew 1624-25; we must deny ourself and take up our cross to follow Him. Many parallels are in these verses: looking away, putting away, turning (2 Cor. 3), denying (Matt. 16). Moses is an example; he considered “the reproach of the Christ greater riches than the treasures of Egypt; for he looked away to the reward” (Heb. 11:26). He had the Lord’s presence as his reward then and will participate in New Jerusalem as the ultimate reward. Lord, grant us the same attitude and consideration that Moses had! By denying and turning, we look to Jesus. This looking, to see His face in spirit today, is our current reward, our foretaste of seeing His face in New Jerusalem. In our looking away to Jesus He, as the Author/Source/Initiator and as the Perfecter/Completer of our faith, will energize us to run the race with endurance to the goal. 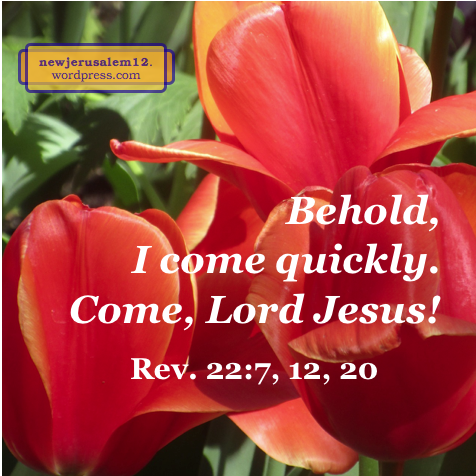 A series of posts for Revelation 1 to 20 look at the wonderful Jesus Christ bringing us to New Jerusalem. In Revelation 21:1 is the new creation and in 21:2 New Jerusalem comes down out of heaven. 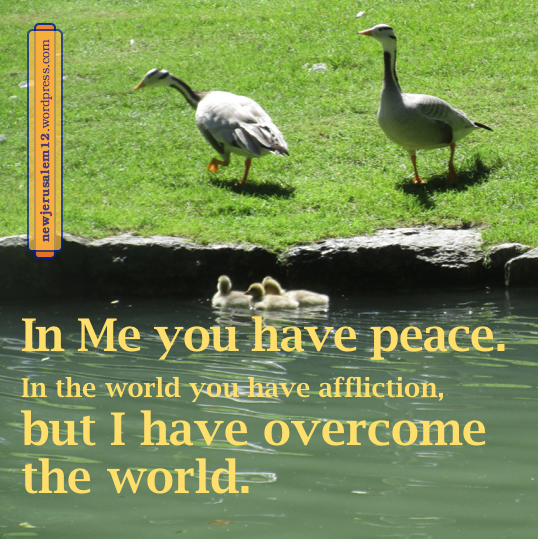 Two recent posts look at the wonderful Jesus Christ in this new creation. 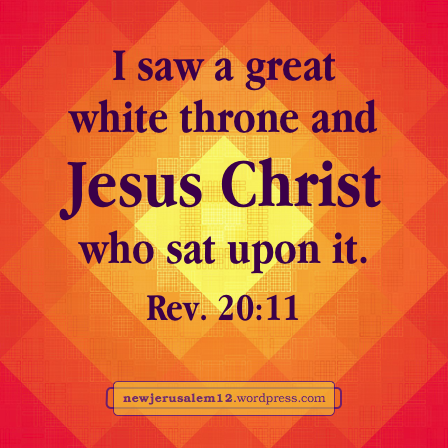 Continuing, Revelation 22:1 reveals “the throne of God and of the Lamb.” There is one throne for God and the Lamb because the two are one. In John 14:10 Jesus told us, “I am in the Father and the Father is in Me.” And in Revelation 21:23 God, the light, is in the Lamb, the lamp. In 22:2 “was the tree of life, producing twelve fruits, yielding its fruit each month.” This tree is a symbol of Jesus Christ, who is our life and who is our life supply as the living bread in John 6 and forever in New Jerusalem. In verse 16 He says, “I Jesus have sent My angel to testify to you these things for the churches.” Thank You Lord for Your sending. And Lord, keep us in the churches to hear what the Spirit says to them (Rev. 2:7, 3:22). This is part of His work to prepare us for New Jerusalem. In verse 16 He also says, “I am the Root and the Offspring of David, the bright morning star.” Concerning this, a footnote in the Recovery Version says, “In His divinity, Christ is the Root, the source, of David; in His humanity, Christ is the Offspring, the issue, of David.” He is also the star to guide us through this dark age until He comes. The Bible concludes, “The grace of the Lord Jesus be with all the saints. Amen.” Lord, thank You for this wonderful grace to supply us today and to prepare us for New Jerusalem. 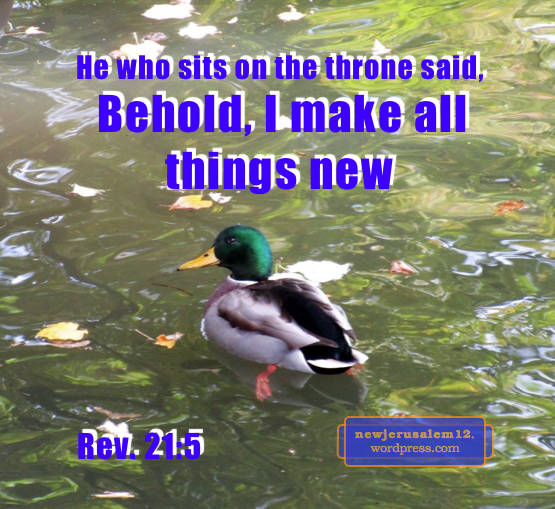 In Revelation 21 we see New Jerusalem in the new creation. Many prior posts addressed accomplishments by Jesus Christ to bring us here. Now we see the same wonderful Person as the center of the new creation. In verse 21:6 He says “I am the Alpha and the Omega*, the Beginning and the End. 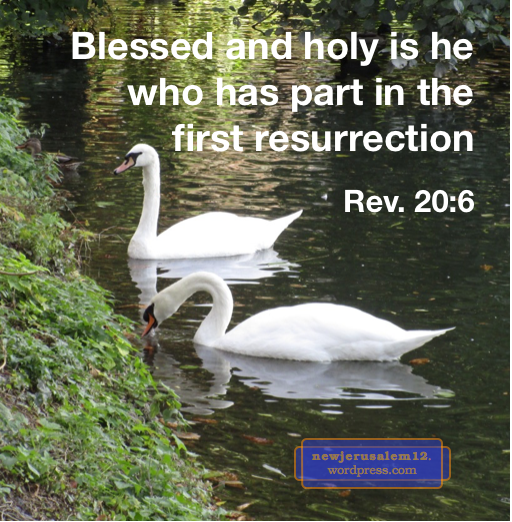 I will give to him who thirsts from the spring of the water of life freely.” What He began in eternity past, and continued through His incarnation, human living, death, and resurrection, has come to an eternal conclusion. 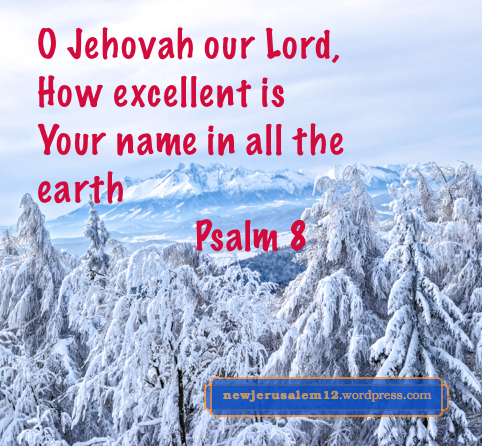 Even in New Jerusalem, He is not only our Omega and End but He is still our Alpha and our Beginning. And the water of life He freely gives flows out of His throne (22:1). In verses 9-11 New Jerusalem is “the bride, the wife of the Lamb” and is seen, “having the glory of God.” The Lamb, Jesus Christ, is the Husband and He is also the glory of New Jerusalem. 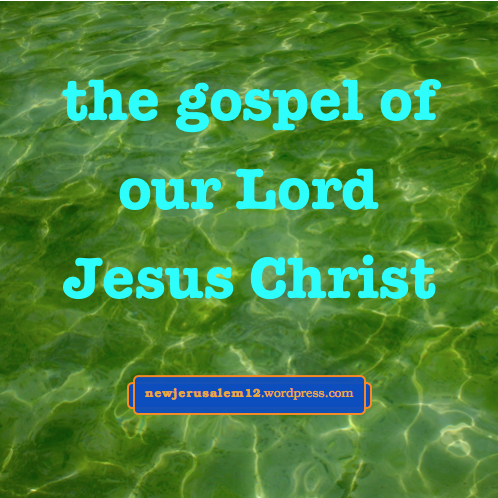 This “glory of Christ” first comes to us in the gospel (2 Cor. 4:4) and develops in us to His second coming (2 Thes. 1:10), consummating in the glory of New Jerusalem. 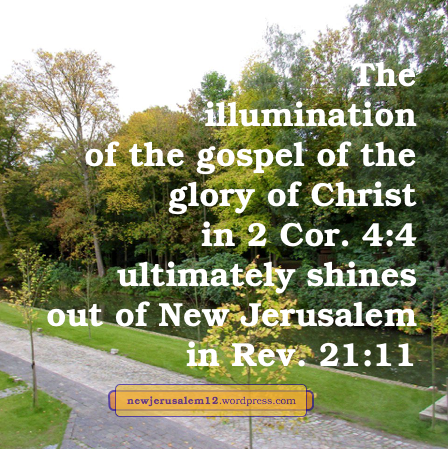 Verses 12 to 21 describe New Jerusalem. In verse 22 John says, “I saw no temple in it, for the Lord God the Almighty and the Lamb are its temple.” God and Jesus Christ are the living temple of the city. There is no physical temple. In verse 23, “The city has no need of the sun or of the moon that they should shine in it, for the glory of God illumined it, and its lamp is the Lamb.” God in Jesus Christ is the light of the city. There is no need for physical light. God in Christ as the real light is first seen in Matthew 4:13-16 and is consummated in illuminating New Jerusalem. *The first and last letters of the Greek alphabet.